In The Single Dad’s Proposal (Single Dad Docs #3) by Karin Baine, Summer Ryan has every reason to avoid Dr. Rafael Valdez. She’s been burned by love before and doesn’t know whether she’d survive making the same mistake she did with her ex in getting involved with a man that has a child. Still, there’s something about Rafael’s daughter that has her sticking her nose in where it doesn’t belong, especially since Rafael doesn’t trust easily after his ex-wife. However, the more time they spend together, the more Summer finds herself falling for Rafael. 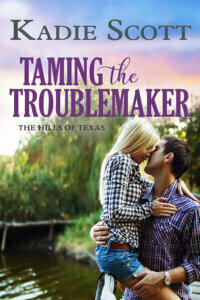 Will history repeat itself or will she finally get her man? This series is such a delight and absolutely worth reading just for the each of the heroes of the stories who are kind, caring, wonderful men that will do anything to create a great life for children. Anyway, as for this book, the way this story started had me sympathizing with the heroine, as she was burned by her past relationship and she knows getting close to Rafael that there’s every chance she could end up getting hurt again. However, she’s so kind-hearted that it’s hard for her to keep her distance because she’s formed such a tight bond with Rafael’s daughter; a little girl that doesn’t bond well with many people. However, it was from the moment the hero and heroine come face-to-face for the first time where this story gets really interesting, as there’s instant attraction, but neither are willing to act on it because they’ve both been hurt by past relationships and don’t trust that they won’t be hurt again if they enter a new one. As for the dialogue, it was intense and entertaining due to the main characters back stories, the hero and heroine’s bond with the hero’s daughter; and the tough obstacles they face to be together including the past possibly repeating itself for the heroine. Will Summer fight for their relationship? Will Rafael decide to do what’s right for his daughter? 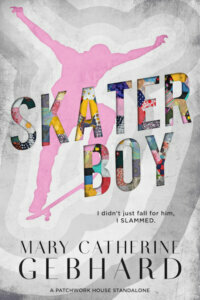 Moreover, I really enjoyed both the hero and heroine. They’re relatable, likeable and I hoped they’d be able to overcome all the obstacles they faced to be together, especially the most difficult one of all where it’s hard not to think that history will repeat itself for the heroine. Her ex really did a number on her and it’s seems very possible that Rafael could end up hurting her just as bad. If not worse. With the heroine, she’s strong, brave and I liked the close bond she shared with the hero’s daughter, Graciela. Really, no woman has ever has as tight a bond with Graciela as Summer has. Not even the child’s mother. I also liked that Summer gave Rafael a chance, even though there’s every possible things might not work out between them. She couldn’t continue to let fear rule every decision she made. Not when there was a chance for her to have everything she deserves – love, family, happiness. While with Rafael, it’s understandable why he’s so protective of his daughter and I enjoyed the bond they had because Graciela is special. I also liked how determined he was to fight for his relationship with Summer because she’s the one for him and he’s determined to prove it. No matter how many times she pushes him away. Will Summer fight for their relationship too? He left then, leaving her gasping for air between the sobs of frustration and pain. How could she ever forget when it was the first time he’d said the words and made her realize more than ever what it was she’d lost. Everything. Overall, Ms. Baine has delivered a really good read in this book where I was affected by the emotions and couldn’t help but sympathize with the hero and heroine in the moment their relationship goes awry. However, in saying that, I loved the ending. Not only because Rafael and Summer have such strong chemistry, but because they’re both willing to fight for their relationship and prove that nothing can come between them, especially not the reason Summer was so willing to let Rafael do what was right for her daughter. Yet, it was the epilogue that wrapped this story up nicely, as Summer and Rafael are so happy together and are both looking towards their future together, especially since Summer has plans and is ready to tell the hero all about them. 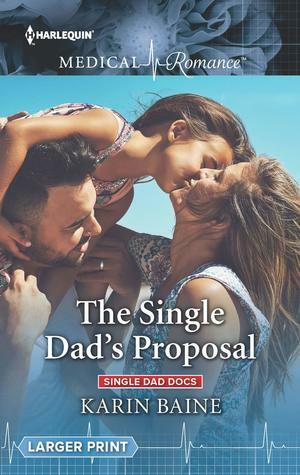 I would recommend The Single Dad’s Proposal by Karin Baine, if you enjoy medical romances, workplace romances or books by authors Annie O’Neil, Annie Claydon, Susan Carlisle and Scarlet Wilson. In this Single Dad Docs story, aristocratic surgeon Rafael Valdez might be the heartthrob of Maple Island, but he has eyes for only one girl—his daughter, Gracie! Until child life specialist Summer Ryan helps Rafael realize he doesn’t have to cope with the special care Gracie needs alone. Can he convince Summer there’s room in his life—and his heart—for her, too?